I thought I would try something fun today and feature a few online bead shops that are worth a visit. These are friends of mine, but this is just me saying "oh, look here at what they've got" because these three hardworking beady women sure do inspire me! I've paired up their beads with a few of my Humblebeads Bead Mixes. Enjoy! Ornamentea is a brick and mortar bead shop located in Raleigh, North Carolina run by Cynthia Deis. Ornametea has a super inspiring website with lots of free projects from trendy designers. They offer an eclectic array of mixed media and jewelry making supplies.Cynthia works with several different bead artists to round out her collection, which I love to see! 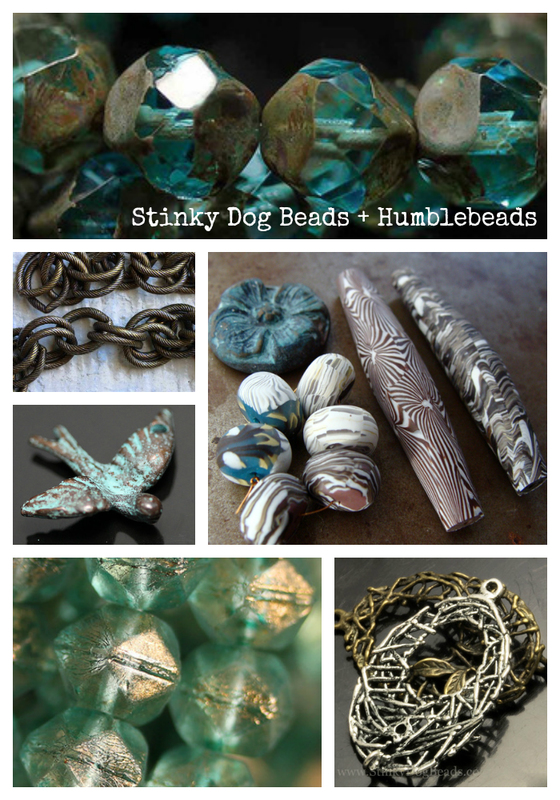 Kitty Bozzini has carved out quite the bead inspiring beauty of a website at Stinky Dog Beads. This is an online only bead shop that offers a beautifully curated collection of beads with photographs that just make you want to shop! Stinky Dog Beads offers lots of unique items that have my nature-lovin' heart going pitter-patter. Must shop the clasps. 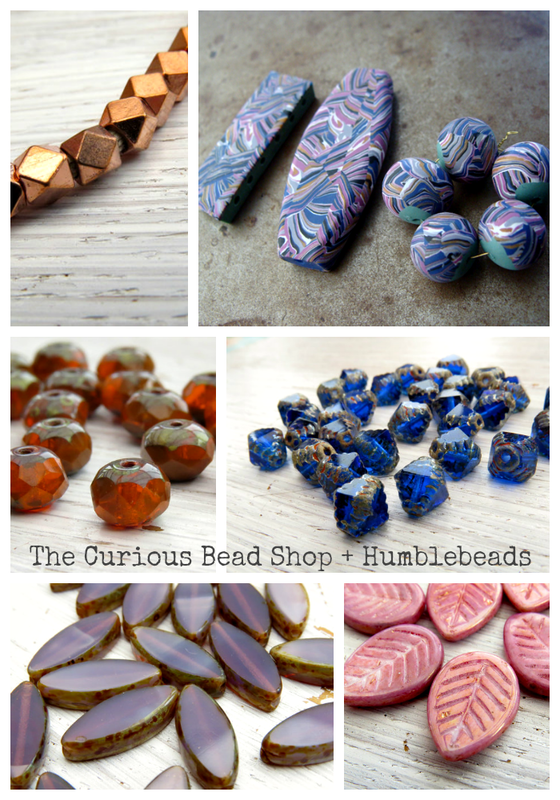 Rebecca Anderson is the curious bead propieter behind The Curious Bead Shop. Rebecca's popular Etsy shop is run from home in Scotland! 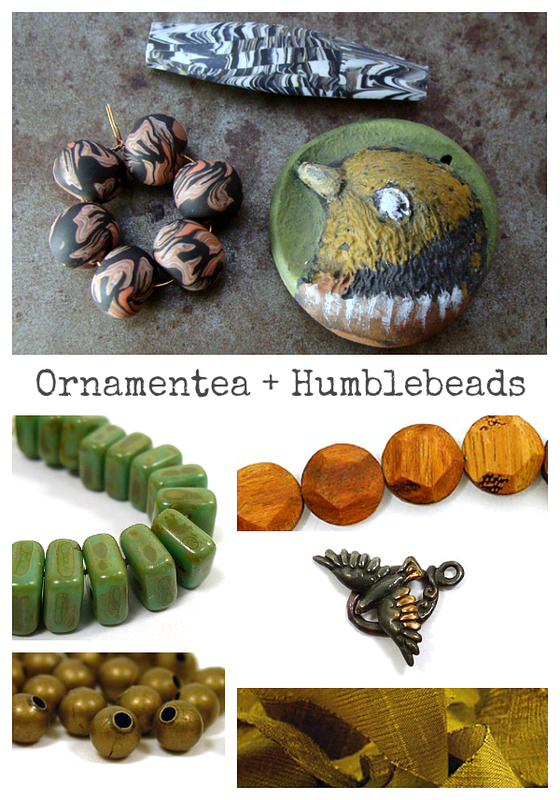 You may have seen Rebecca's jewelry featured here on my blog, she has a way with Humblebeads. Rebecca's shop offers mainly Czech glass in so many yummy colors and styles but she is also branching out with findings, metal spacers, waxed linen and leather.